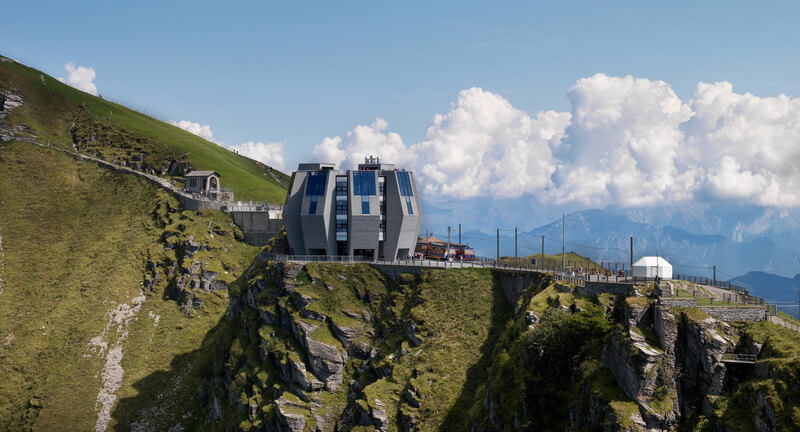 Monte Generoso is situated in the heart of a nature park known beyond Switzerland’s borders. Standing majestically on the mountain’s rugged plateau is the new “Fiore di pietra“ (stone flower). 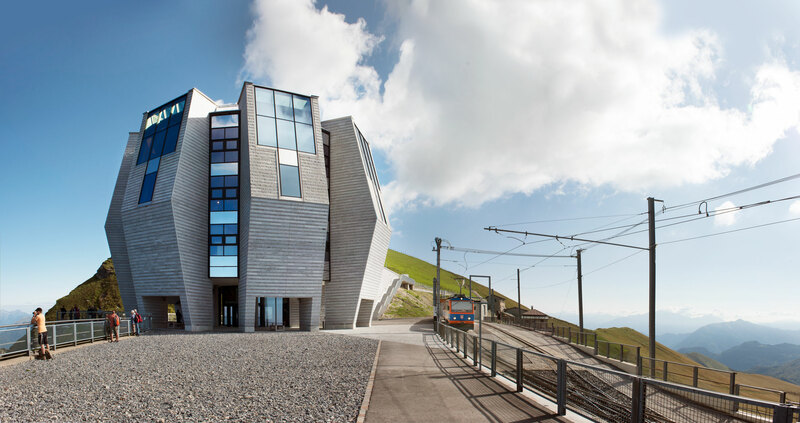 The building was created by the famous architect Mario Botta and features picture windows that frame the breathtaking panorama. Two restaurants flooded with light and a conference room with magnificent mountain views provide the ideal setting for fine dining, unforgettable family celebrations and exceptional corporate events. The “Fiore di pietra” is designed so that a partition wall can section off a separate room for up to thirty guests. Since 1890, a rack railway has provided transport along a picturesque nine-kilometre stretch of mountain scenery carrying passengers from Capolago on Lake Lugano to the mountain summit at 1704 m altitude. Monte Generoso offers visitors plenty of opportunities for relaxing strolls, more demanding hikes and for delving into history. We look forward to welcoming you!